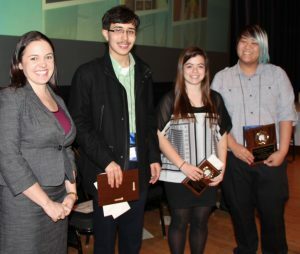 Chicago Intellectual Property Alliance (CIPA) sponsored awards for the “ Most Inventive” projects at the annual Chicago Student Science Fair. 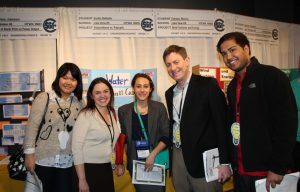 Attorneys, law students and other volunteers joined together to judge the projects at the Museum of Science and Industry. Sarah Biggs (McAndrews, Held, & Molloy), CHAIR of the Science Fair Committee is pictured (left) with the 2015 CIPA winners. The level of student inventiveness has been remarkable over the years, and it is always challenging for CIPA to select its winners from many outstanding projects. However, the challenge is made easier thanks to the many volunteer judges who devote their time to assess these student projects. w student from Loyola), Sarah Biggs, Nathalia Davilla attorney at Pattishall), and Gopal Gannamraj (law student from Loyola). This year, Adam Adachi won the first prize for his project the LilyPad Bike Turn Signal. Adam is pictured (left) accepting the first prize check for $500 and a patent application (if appropriate). 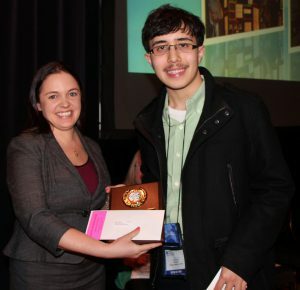 Gabriel Tavas won the second prize for his project Reshaping Magnetic Levitatio. 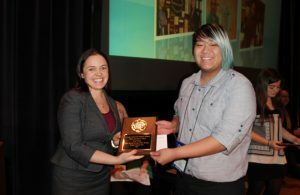 Sarah Biggs is pictured awarding the $300-second prize to Gabriel Tavas (right). 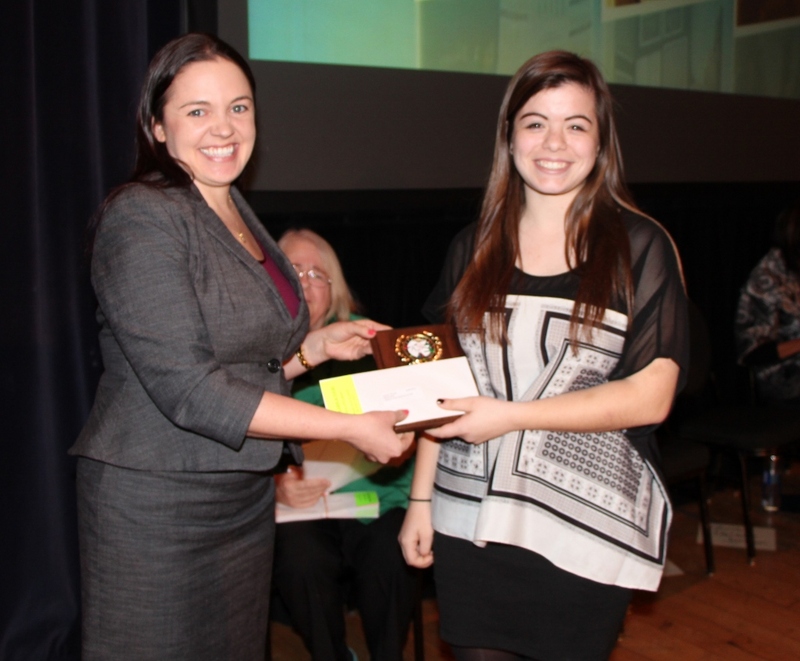 Brooke Gardener received the $200-third prize for her project Markov Chain Approach to Golf (left). used with Creative Commons license. Copyright 2016 Chicago Intellectual Property Alliance. All Rights Reserved.